Discover South Beach in Las Vegas, only at the Tropicana. This Doubletree by Hilton resort boasts a sun and beach theme, that's highlighted by accommodations with tropical decor, a huge gaming facility, as well as a light coconut scent that floats through the halls to give you that south Florida feel. Plus, guests can also enjoy the hit show, Mama Mia, which makes its debut in spring 2014. And let's not forget about the Tropicana Las Vegas military discount that guests can always take advantage of. With the Tropicana Las Vegas military discount, guests can receive 15% military discount off their new, best-in-class deluxe rooms. This offer includes Breeze Perks & Benefits including VIP Check-in. See below for additional offers. 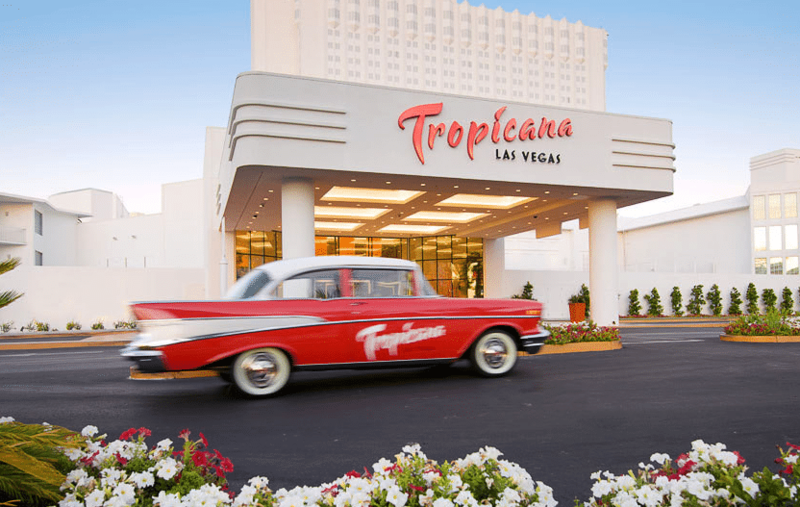 Save money this summer by booking at the fabulous Tropicana Las Vegas – a DoubleTree by Hilton starting from just $89! Enjoy 15% savings on reservations made at least 61 days in advance when you book at Tropicana Las Vegas – a DoubleTree by Hilton! Enjoy a 10% discount off hotel rates PLUS more savings across property when you book our Senior Rate at Tropicana Las Vegas – a DoubleTree by Hilton! For more Las Vegas resort military discounts, promotions, and special deals similar to the Tropicana Las Vegas military discount, be sure to check out our awesome listing of over 100+ Las Vegas resort, casino, and show military discounts and deals.